Israel exults and rejoice with you the Virgin of Sion who gave birth to Him who was awaited in the darkness of history. Jesus Christ is the bearer of true peace. Oh, joy of Israel, intercede that we to may obtain that peace that comes from your Son, Jesus. 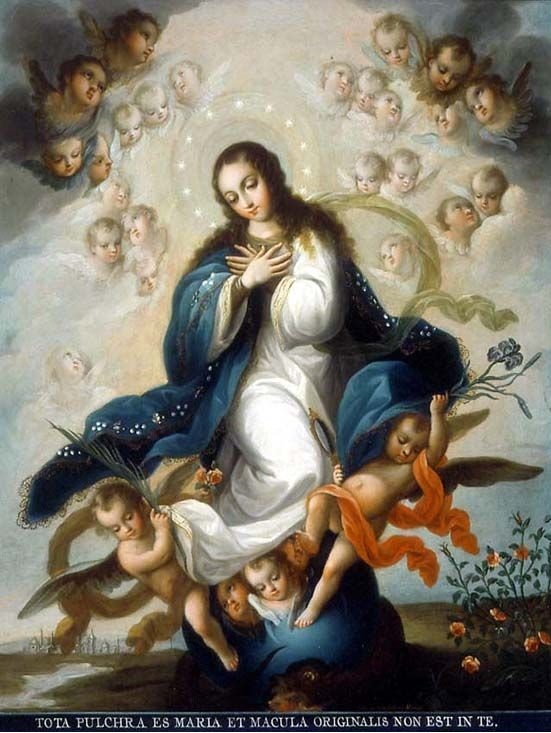 Immaculate Virgin Mary, mirror of purity, we celebrate seeing the most sublime virtues and gift of the Holy Spirit infused at your Conception. We thank and praise the Most Holy Trinity who favoured you with this privilege. Oh, benign Mother, we ask you to intercede for us to obtain the practise of virtue and therefore make us worthy to receive the gifts and grace of the Holy Spirit. Hail Mary.